‘Magic’, ‘excitement’, and years of smile-producing nostalgia are generally the first things that come to mind when hearing Disneyland in a conversation. However, closely following is often ‘long lines’, ‘crying children’, and ‘over-priced everything’. Letting those last three over-shadow the first and coming up with excuses not to is something us adults are experts in. And this is why we are wrong. It is clear that very little convincing is necessary to persuade a child to take a day (or month) trip to Disneyland Paris. Us adults, on the other hand, tend to be experienced masters at making up excuses not to do things that are actually good for us. Taking a day out of what might be a meticulously planned or more culture-focused trip might be one of the times this excellent ‘excuse making skill’ is put to use. However, both Walt Disney himself and almost 15 million people a year would argue both the benefits and even simplicity of spending a day at Disneyland. So, just as your “but I ate a cookie four hours ago and wouldn’t want to get a cramp” does not rationalize not going for the run you swore you would after work, neither do the following ‘buts’ not to go to “the most magical place on earth”. 1. I’m an adult One of the most common reasons people give to why they think going to Disneyland might be a waste of time is that it is designed for children (they aren’t one or they don’t have any). It is true that it would be difficult to find another corporation that appeals so uniquely to children—and that reaches so pervasively into their lives. However, it is also true that Walt has said he owed a large portion of Disney’s success to the creation of “a believable world of dreams that appeals to all age groups”. Here are a few reasons why the undoubtedly mature adult in you could use a dose of Disney. – Your ability to appreciate. From the moment you enter a Disney theme park, it is clear the extensive attention to detail. You are literally transformed into a world and every element has been carefully designed for you to feel that way. These are things you would certainly overlook as a child, but is part of what makes Disney so unique. – As admittedly cheesy as the ‘release your inner child’ or ‘escape from the real world’ seems as an argument, there just might be something to that. In an article by Charlie Haas, “Disneyland is Good for You“, John Hench describes how “the order here at Disneyland works on people, the sense of harmony. They feel more content here in a way they can’t explain. You find strangers talking to each other without any fear. You actually find people patting strange kids on the head, which of course they wouldn’t do anywhere else.” Described as the “Disneyland Effect”, he made the point that “entertainment is usually thought of as an escape from problems, an escape from responsibility, but as far as I know he [Disney] had an original idea—and there are some practicing psychiatrists that happen to agree with us—that what we are selling here is not escapism, but reassurance.” – Oh, and they serve alcohol. 2. I’m in France and should be soaking up French culture (plus, I’ve already been to Disney World): Another common rationalization made by many. Particularly if you have already been to another of Disney’s themed parks. There is a fairly good chance you have come to Paris to experience the Parisian culture and already feel as though you would need to live until the age of 163 to get through the ever-extending list of museums, galleries, cafés, wine bars, hidden alleyways, and fromageries you hoped to experience. Could you really justify setting down your glass of syrah and taking a day off of those things to go spend it in such a North American themed world? Yes, absolutely! 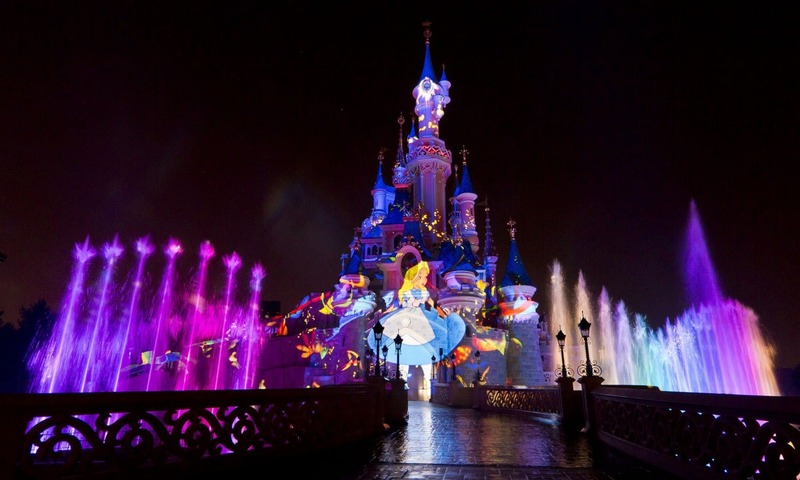 – Disneyland Paris is Europe’s number one tourist destination—even beating out the Eiffel Tower and Louvre in attendance, and is widely regarded as one of Disney’s most beautiful creations, combining the tried and tested elements of the company’s US parks with a sprinkling of European flair. 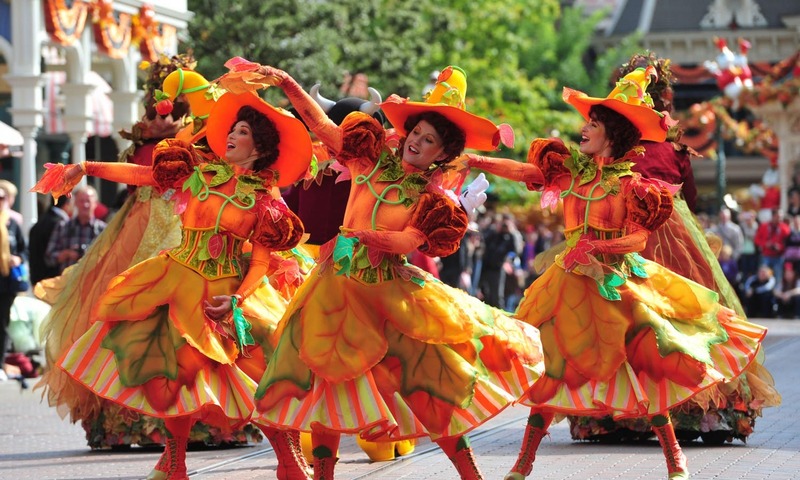 – Everything is in French and English and the over 14,000 ‘Cast Members’ are recruited from all over the world. Goofy with a Spanish accent? I can’t help but love the idea. – It is smaller than it’s siblings and therefore not as time-consuming, overwhelming, or straining on my serious ‘fear of missing out’ personality. There are even 2 Parks for 1 Passes available for those who want to get in as much as possible in a day. – There are many rides and themed areas that are unique to Disneyland Paris including Crush’s Coaster and Ratatouille: L’Aventure Totalement Toquée de Rémy. Senior Vice President & Chief Operating Officer calls it the most “advanced and sophisticated thing we’ve ever done from a ride integration standpoint”. There is even a Parisan style Bistrot (Bistrot Chez Rémy) where you are shrunk down to the size of Rémy and given a ‘rat’s eye view’ while you eat. The Space Mountain ride is also radically different than the ones at Disneyland and Walt Disney’s World and was newly renovated this past year and reopened in July. 3. It’s too expensive or overcrowded Yes, this is undeniably true of theme parks as a whole and a big deterrent for many. However, thankfully with a little bit of planning, there are ways around both of these. – Buy your tickets beforehand to get a cheaper rate and avoid the long lines at the entrance to the park. – Get allotted ride times with the Fastpass or try splitting up into the singles lane. – Bringing your own snacks into the park is allowed as well as an empty water bottle you can fill up once you’re inside. – Look into public holidays in France and special events to avoid those days – Download the Disneyland Paris Wait Times App for the ride lines. 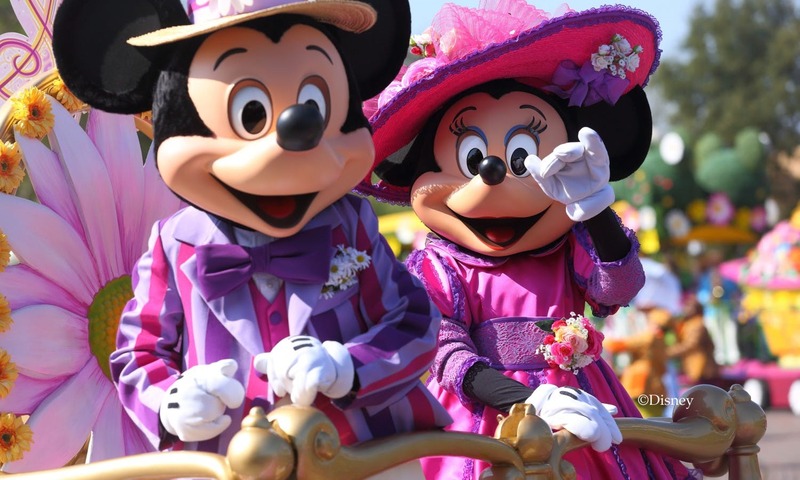 – Much shorter wait times during the shows and parades. – Do Fantasyland in the morning and Adventure land in the evening. – Use the Disneyland railroad to get around faster.